The latest unfortunate update from the FMCA. Update (6/19/2017): The FMCA has posted in several public locations a message saying that Verizon has "pulled the offering" - canceling all orders before any of the hotspots had shipped. Update (6/16/2017): Earlier this morning, FMCA Executive Director Chris Smith (smithy) chimed in on the publicly displayed FMCA community forums encouraging FMCA members to continue calling in to place orders - and they would be accepted for the July shipping date. Just a couple hours later, we started getting reports of members being told the program had been suspended or shut down (possibly by Verizon), with no further details. And then, the sign-up page was taken completely down. UPDATE (6/15/2017): We've heard that orders placed today are now slated to ship in July. The June cut-off seems to have been reached - and the FMCA has posted that they are no longer taking new sign-ups for now. "Before we make the full launch, we have changed our pricing to allow more people to take advantage. It is now $43.99/month. Feel free to share." This makes an amazing deal even better, and will undoubtedly bring the FMCA a flood of new members. The new pricing will apply even for those who already signed up for $49.99. At present time, they have not yet updated their sign up page, but we have several confirmed reports of this being the price offered. 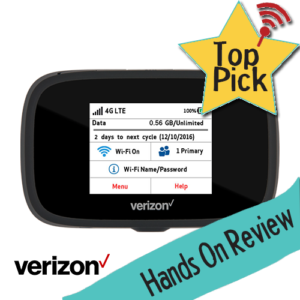 The Novatel MiFi 7730L is our current top pick hotspot on Verizon's network. Click here to read more about it. 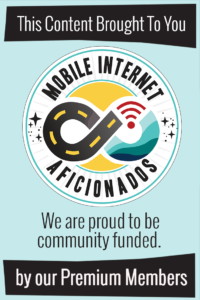 Today the Family Motor Coach Association (FMCA) announced a phenomenal new benefit for members - a $49.99/mo unlimited Verizon hotspot plan! Internet Service just got easier - we promise! By special arrangement, FMCA and Verizon will send you a Verizon Jetpack® 4G LTE Mobile Hotspot MiFi® 7730L for “on the go” unlimited mobile internet access at a members-only price. Use the Jetpack at home. While you travel. Anywhere you need fast, reliable internet access. This is a spectacular deal compared to anything that you can get directly from Verizon. The FMCA is even including Verizon's latest and greatest flagship Novatel MiFi 7730L hotspot for free. There is no contract required, and even if you cancel after just one month of service you can keep the $200 hotspot. "Your $49.99 unlimited service is month-to-month. No contract is required. We’ll guarantee that low price for the next 12 months of service. No hidden fees or added taxes, you pay only $49.99 per month. If you aren’t satisfied, call us to cancel any time. After your first month, even if you cancel, the Jetpack kit is yours to keep. This offer is for FMCA members in the U.S."
This offer is so good, it is worth joining the FMCA to take advantage of. FMCA members can sign up here - and be aware that "quantities may be limited". Enjoy video? Be sure to Subscribe to our new YouTube Channel! Data Limits & Network Management? Verizon's Unlimited data plans traditionally come with a lot of hidden limits, particularly for those who need a lot of tethering data. Jetpacks & MiFis added onto Verizon's Unlimited Data plans for $20/month are actually capped at 10GB of high speed usage - after which speeds are throttled to a paltry 600kpbs for the remainder of the month. 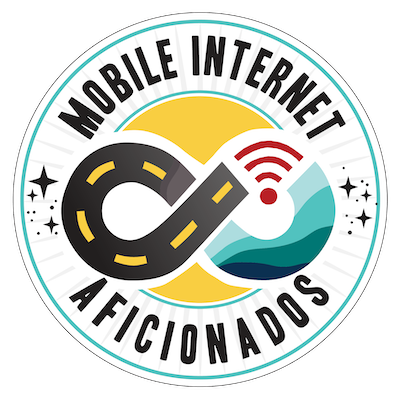 This limitation has left many frustrated and fuming, and has kept people clinging to grandfathered unlimited data plans that are not subject to this limitation. 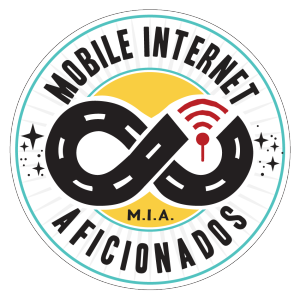 But via this FMCA plan, there is no 10GB usage cap or 600kbps throttle! Instead, the FMCA plan is only subject to Verizon's typical network management after 25GB month of usage. This slows down usage relative to other customers, but only when the network is actively congested. In practice, so far in many areas these slowdowns have proven to be hardly noticeable. And while all currently offered Verizon plans are subject to network management, the FMCA has managed to negotiate it kicking in after 25GB, instead of the more common 22GB threshold on regular Verizon plans. "You may see a decrease in internet speeds upon 25GB of data usage and in high-congested areas." Other than the still unrivaled grandfathered Verizon unlimited data plans, this is the best offer on Verizon that we know of anywhere - and it is a lot easier to get than a grandfathered plan. Here are some of the frequent questions we're being asked about this plan. We have spoken with the FMCA's Executive Director, Chris Smith, to confirm these details. We will keep this updated as we learn anything additional. Is there any international roaming support? 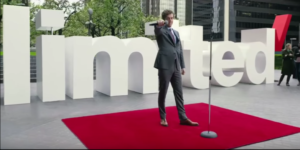 - Verizon's direct unlimited plans allow for 500MB/day usage in Canada and Mexico, but we have confirmed that the FMCA plan will be limited to the USA only. Can I put the SIM into other devices? - Verizon has never prevented customers from moving SIM cards between compatible devices, so you should be able to use the FMCA SIM in a different hotspot or cellular router if you prefer. Is this plan in partnership with Verizon, or is there a third party involved? 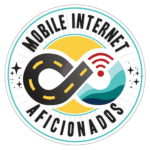 - The FMCA has confirmed to us that they have worked out this deal directly with Verizon, and the free hotspots will be shipping directly from Verizon. However, you will not be a Verizon customer as you will be billed by the FMCA not Verizon. Can I add this on to my existing Verizon account? - No. This plan is a stand alone plan arranged with the FMCA, and you will be billed directly by the FMCA (and not Verizon) for this plan. Can I transfer my service from an existing Verizon account or contract? - No. This plan is a standalone plan, and will not exempt you from any existing contracts you might have directly with Verizon. Can this plan replace my phone service? - No. 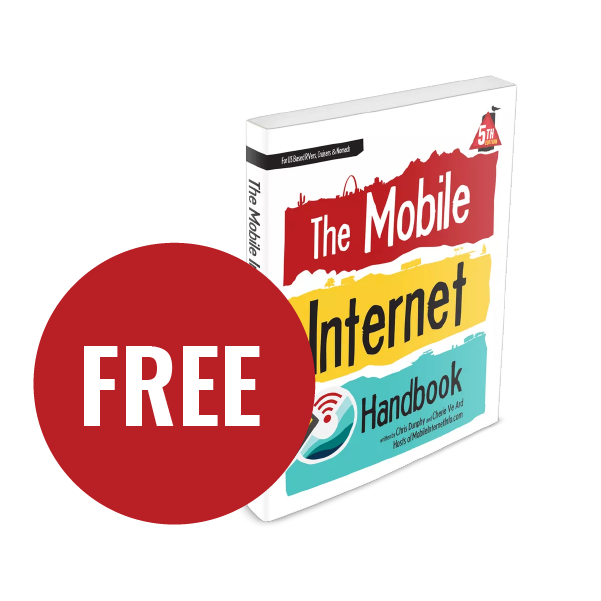 This is a data only plan that will only work on data devices like mobile hotspots and routers. This plan does not include any voice or texting, and will not work on smartphones. Is there an additional $20/month line access fee? - No. This is a standalone data plan, and is not subject to Verizon's line access fees charged for adding a line of service to one of their traditional plans. The rate is a flat $49.99/month that is paid directly to the FMCA, not Verizon. What happens to the price after 12 months? - It's actually pretty rare to find a no contract plan that locks in a price for a year out. However, the carrier and FMCA will need to re-evaluate the plan after it's been out a while and adjust as necessary. We don't feel this is any sort of conspiracy to get you hooked on the service then jack up the price unnecessarily, but do anticipate that there could be adjustments after a year (up or down!). If those adjustments aren't to your liking, you're not committed - you can cancel and still keep the device. Can't I just add a hotspot to my existing Verizon account for $20/month? 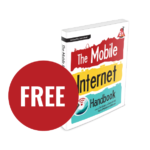 - Yes, if you already have a Verizon voice line it will be cheaper to add on a mobile hotspot device to your existing Verizon account. However, that plan will be subject to the limits of the data plan you have. Keep in mind, on Verizon's New "Unlimited: Data Plans mobile hotspots are restricted to just 10GB of high speed mobile hotspot use before they are throttled to 600 kbps. This FMCA plan is NOT subject those terms, just network management after 25GB of usage in a month. Should I cancel my Grandfathered Unlimited Data Plan? - Remember, grandfathered Verizon Unlimited Data Plans are currently NOT subject to ANY network management, and once you discontinue one of these rare grandfathered lines you can never get them back. We never recommend canceling great data plans until you feel absolutely confident a new option will serve you better, and that the new option is here to stay for the long haul. However, if you're currently renting a Verizon data plan, it may be worth switching to this plan instead. Should rental vendors remain in business, you can always sign back up if the FMCA offer for some reason goes away. Should I buy the optional external antenna? - The FMCA is offering a Verizon "Antenna for LTE" for $34 which suction-cups to an RV window to improve the signal to the hotspot. We do NOT recommend this antenna, since it does not enable you to take advantage of the dual-MIMO antenna ports on the hotspot and requires an included adapter (if you do go with this option, make sure you plug it into the primary port of the 7730L, which is the left hand one). A better suction cup window mounted antenna choice is the Netgear 6000450 MIMO Antenna for $27.49 on Amazon (it is a dual antenna and uses direct TS-9 adapter which will direct plug into the 7730L) which we have recently reviewed. It will outperform the one offered by the FMCA. We have tracked a LOT of data plans over the years here, and some of the 'too good to be true' ones have indeed not lasted long. Anyone remember OmniLynx? Karma? Millenicom? Always keep in mind that these data deals are 'no contract' - and that goes both ways, and anything can happen down the road if Verizon decides to back out behind the scenes. However, the FMCA is a highly reputable organization with a long history of negotiating great deals for their members. This isn't a fly-by-night operation. And even considering the worst case - with no upfront cost, you end up with a free hotspot and some unlimited data while it lasts. Just always be prepared that these deals can go away with little notice, and always have a back-up option for getting online aboard. And don't switch away from a sweet data deal you can't get back! The FMCA is one of the largest nationwide RVing organizations - along with the Escapees and Good Sam. But the FMCA is also explicitly an organization for "motor coach" owners, and when you sign up you have to indicate that you own a motorhome to join, and even give a license plate number upon check out. But there is no FMCA inspector that will ask you to prove your motorhome ownership and you don't even need to indicate what brand of motorhome you own. And there are internal discussions ongoing at the FMCA about officially opening up the club to all RV owners that will go to a board vote at their Indianapolis Rally in July. If approved, it will then be put to vote within the current membership, and with a final decision potentially by the end of this year. 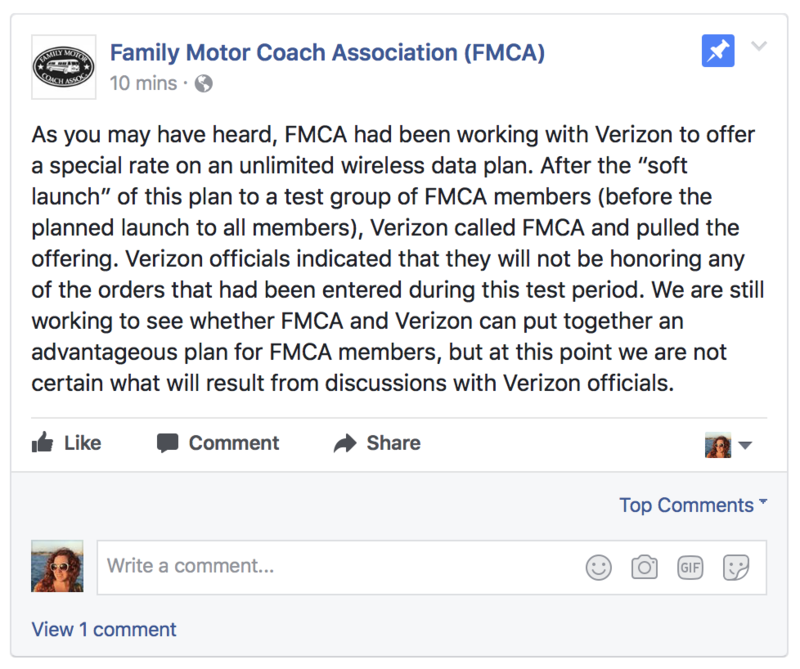 With a deal this good from Verizon, the FMCA may need to drop the "motor coach" from their name and become the "Family Mobile Computing Association" as a flood of new members come in, lured by this great deal. NOTE: If you are joining for just this deal, we recommend holding off until the status of this benefit is known. If you are a motorhome owner and not yet a member, first Join the FMCA. The FMCA costs $60 to join for the first year, and then $50/year ongoing - if you belong to other RVing clubs, you may be eligible for discounts. Once you are a FMCA member - you can request the Verizon Unlimited Data Plan here (page now taken down). You will need to provide your FMCA member number to confirm your membership. Someone from the FMCA office will then call you to complete the transaction and confirm the details. Expect this to take up to a business day or more, as demand for this plan is quite high. 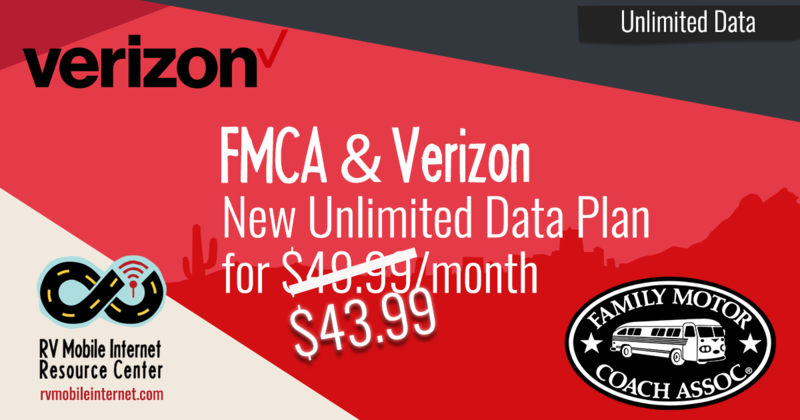 You need to remain an FMCA member to keep this FMCA Verizon plan active. The FMCA will also have a booth signing people up for this plan at their big national rally in Indianapolis in July. Do be aware that "quantities may be limited" - we will update this post if we hear any reports that the FMCA has sold out. The hotspot devices are being batch shipped direct from Verizon once a month. They will ship on the 21st of each month via overnight delivery. If you miss the ordering deadline for this month, you will not receive your device and plan until the next shipping date. Billing will be handled by the FMCA via a credit card, billed on the 22nd of each month. UPDATE (6/15/2017): We've heard that orders placed today are now slated to ship in July. The June cut-off seems to have been reached. Our members were given a heads-up about this FMCA plan coming out a month ago, and we have some member-exclusive insight and analysis into this new FMCA plan featured below.